Too Cool! Cartoons is Frederator‘s 5th big idea cartoon incubator, produced exclusively for Cartoon Hangover. We founded Frederator Studios to find creative filmmakers and artists making cartoons, producing more than 200 creator-driven, animated shorts that have spun off 15 series for Cartoon Network, Nickelodeon, and our own Channel Frederator. Series like The Fairly OddParents, Adventure Time, My Life as a Teenage Robot, and Dexter’s Laboratory, Cow & Chicken, and The Powerpuff Girls. Now, withToo Cool! Cartoons we’re on the prowl for greatness again, with even more creator driven, funny cartoons on Cartoon Hangover, our owned and operated YouTube channel. We started with What a Cartoon! and Oh Yeah! Cartoons, The Meth Minute 39, and Random! Cartoons, four shows created by Fred Seibert that are cable’s most successful short cartoon anthology series ever. Not only have these programs helped launch the careers of some of today’s most prominent cartoon filmmakers, they gave Cartoon Network and Nickelodeon some of their biggest hits, proving that a lot can be accomplished in a few funny minutes.Too Cool! Cartoons launched on Cartoon Hangover in April 2013, with the release of Mike Rosenthal‘s “Our New Electrical Morals.” Mel Roach‘s “Rocket Dog” followed quickly in May, and we’re looking forward to Natasha Allegri‘s “Bee and Puppycat” in the summer. And, of course, all the shorts are in great company with the channel’s first two series, Bravest Warriors (created by Pendleton Ward, supervised by Breehn Burns) and SuperF*ckers (created by James Kochalka, supervised by Fran Krause). Wanna know more? Check out the Too Cool! Cartoons FAQs here. 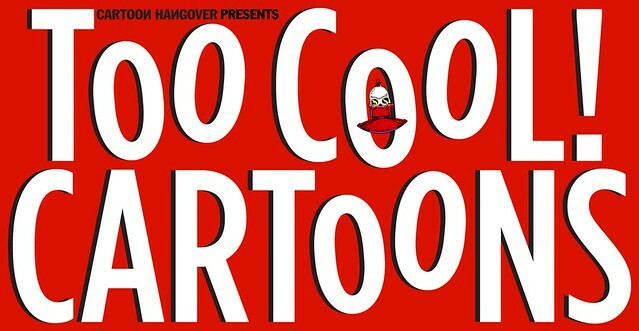 Or follow the Cartoon Hangover tumblr here. Too Cool! Cartoons: Frequently Asked Questions.